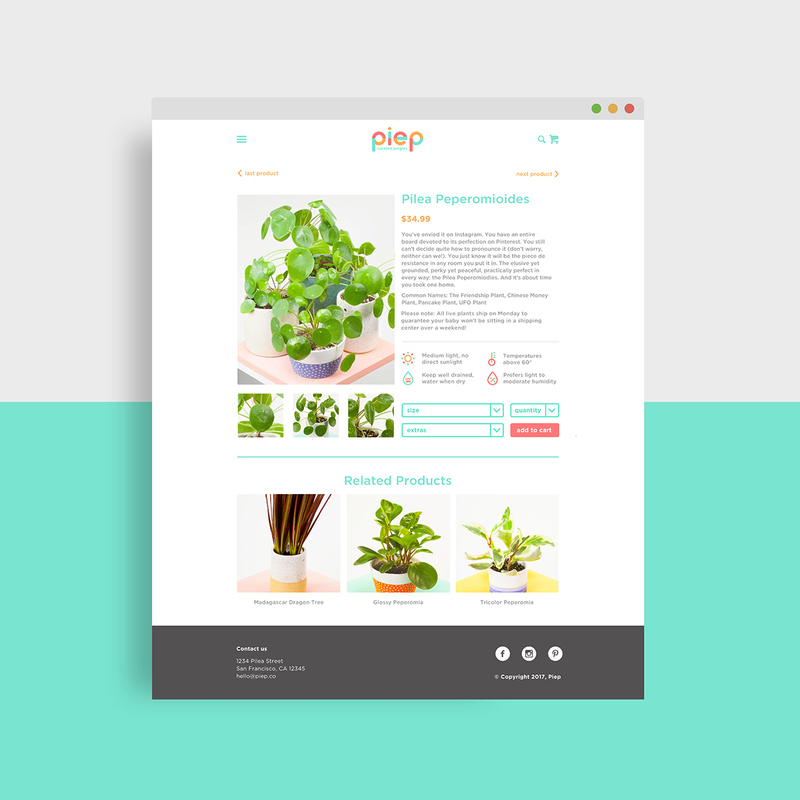 Piep is an online plant shop based out of San Fransisco that sells all types of magical houseplants and locally made ceramics. 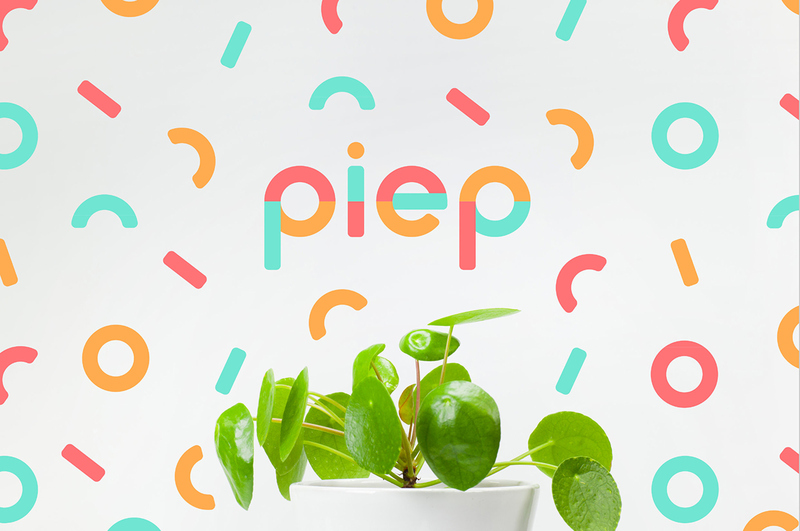 The main star of the lineup is the rare Pilea Peperomioides plant, which is commonly referred to as the unicorn of houseplants. 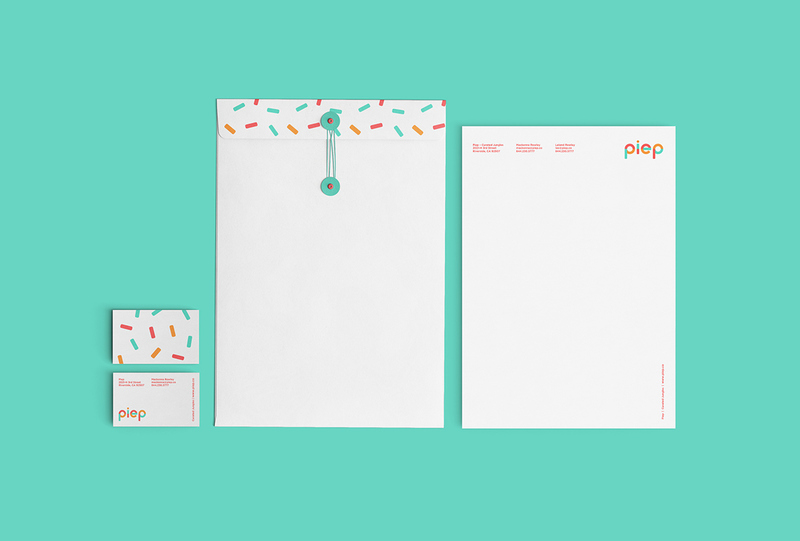 The Piep branding aims to evoke the same joy experienced from a fresh donut with sprinkles. 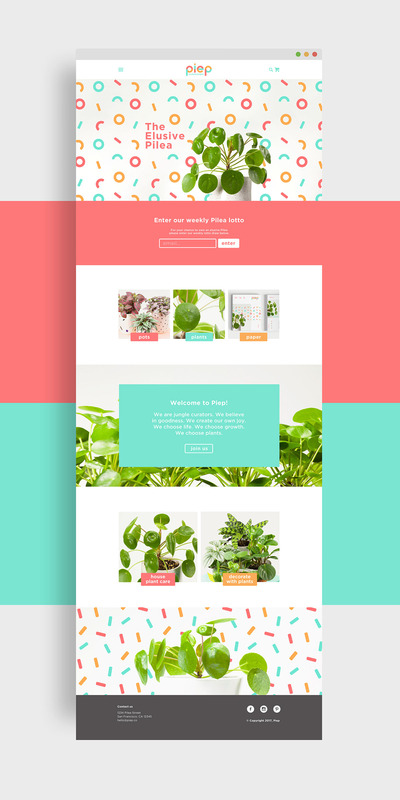 The brand is an extroverted celebration filled with colour and energy. The logo has been crafted using a geometric grid structure. The end letters each have a perfect circle within them. 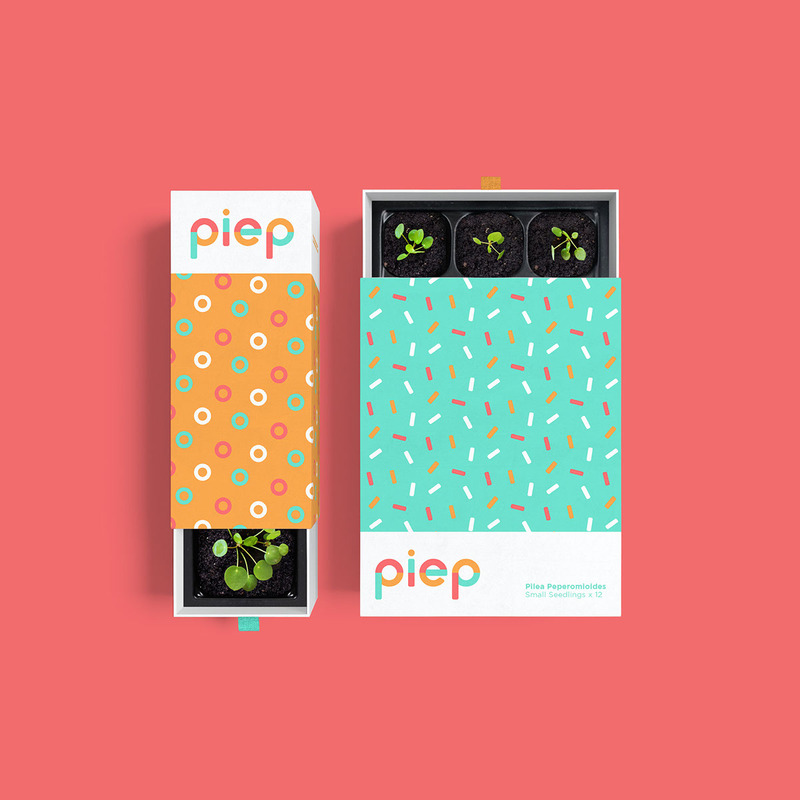 This creates a beautiful visual symmetry and resembles the iconic round leaves of the Pilea plant. The logo form itself is clean, modern and structured. When explored as a brand the logo is deconstructed and patterns are created from the circles, semi circles, dots and lines. This creates a coding system within the brand as well as echoing joyous sprinkles and confetti. Design by Shanti Sparrow www.shantisparrow.com Piep is an online plant shop based out of San Fransisco that sells all types of magical houseplants and locally made ceramics. 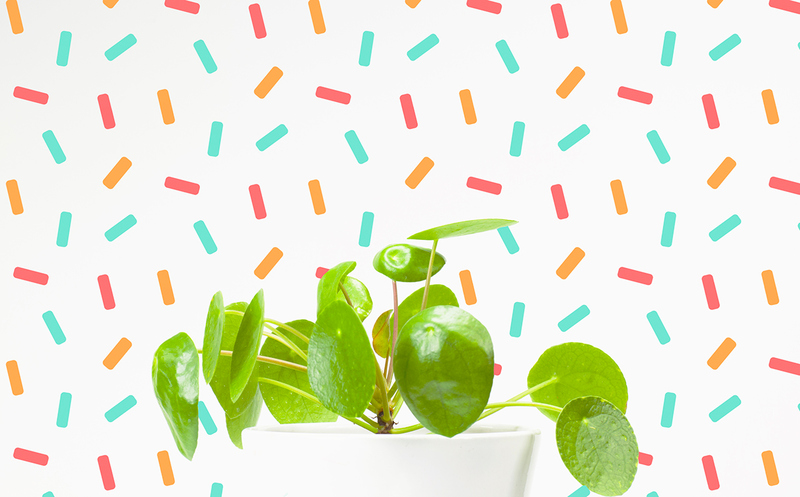 The main star of the lineup is the rare Pilea Peperomioides plant, which is commonly referred to as the Unicorn of houseplants. 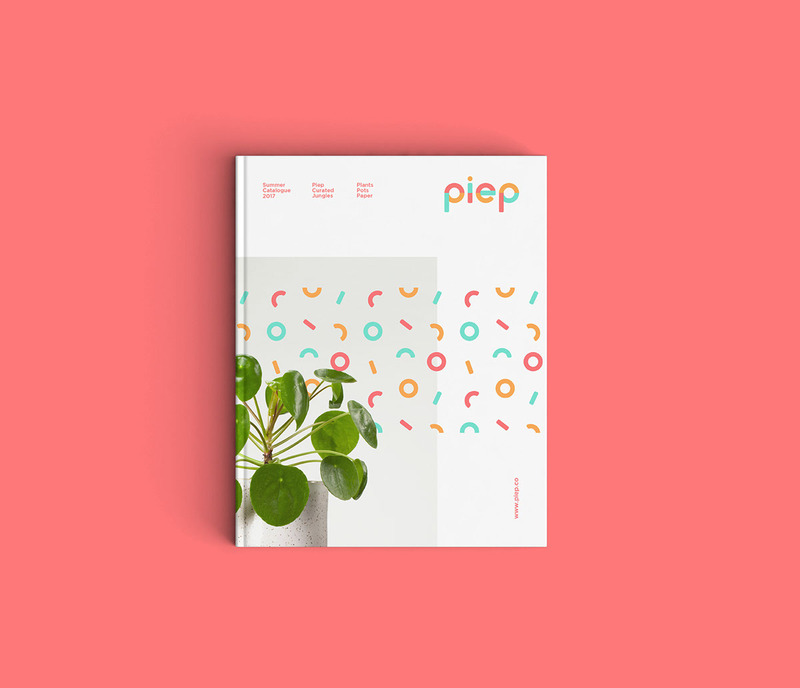 The Piep branding aims to evokes the same joy you feel from a fresh donut with sprinkles. 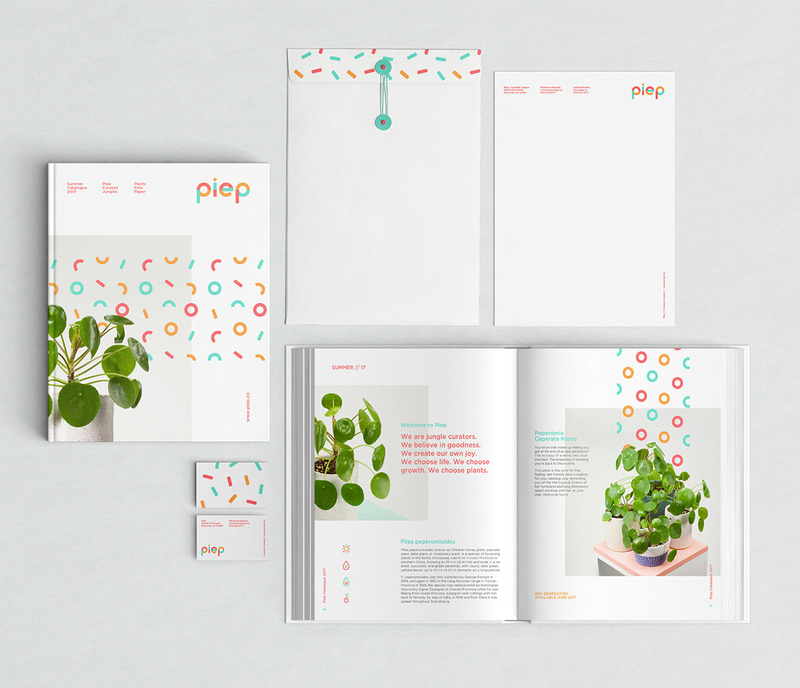 The brand is an extroverted celebration filled with colour and energy. 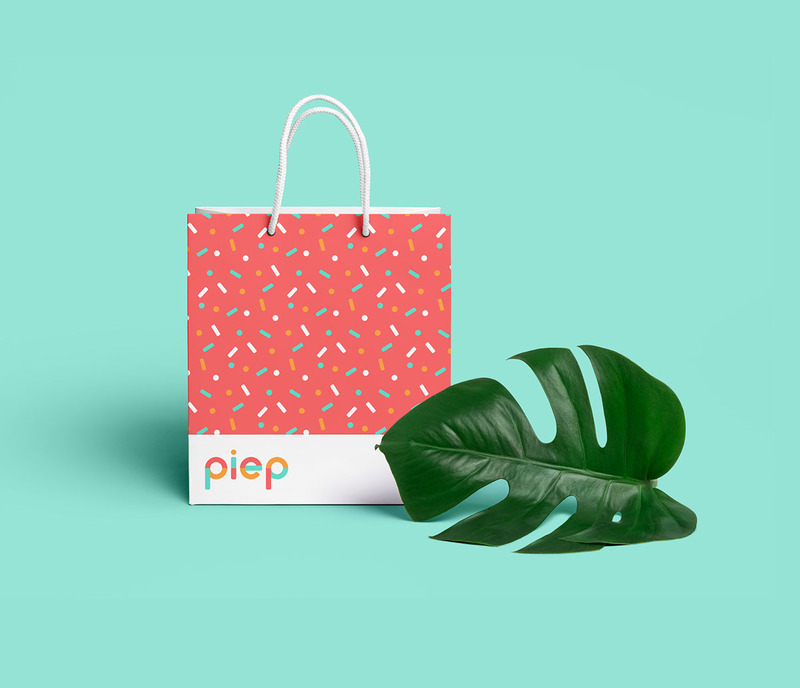 The logo has been crafted using a geometric grid structure. The end letters each have a perfect circle within them. 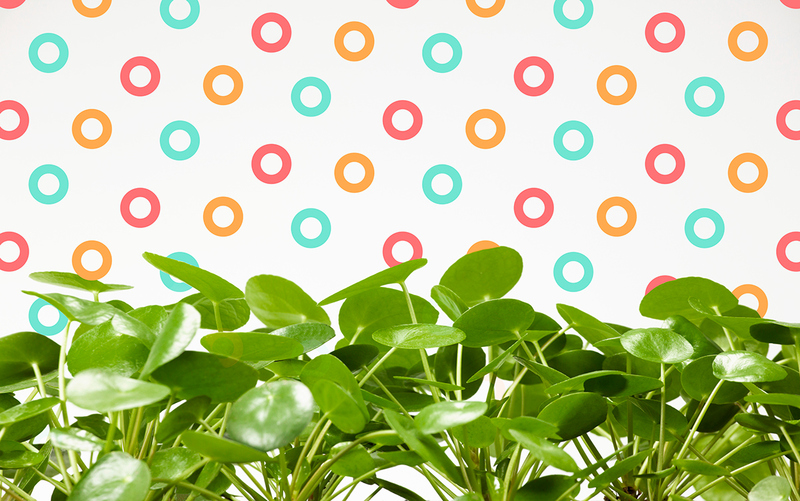 This creates a beautiful visual symmetry and resembles the iconic round leaves of the Pilea plant. The logo form itself is very clean, modern and structured. When explored as a brand the logo is deconstructed and patterns are created from the circles, semi circles, dots and lines. This is used to create a coding system within the brand as well as mimic the sprinkles and confetti.